Treadmills burn calories, but you can do better with interval training. In modern gyms, you may see more women running on treadmills and using other exercise machines than swimming in the pool, using free weights, participating in fitness classes or doing body-weight exercises. Exercise machines have their benefits, but mechanical exercises also have disadvantages that you should brush up on before making them a staple of your workout routine. If you're looking for a well-rounded workout in a short amount of time, exercise machines may not be the right option. One of the most obvious downsides to exercise machines is the cost of the equipment itself. If you belong to a gym, this won't be an issue, but having exercise equipment in your home is an unnecessary expense and waste of space when you can do more effective exercises without the use of machines. The quality of machines varies from brand to brand, gym to gym; and exercises can be repetitious compared to fitness classes or interval training. If you're looking to get into great shape in every way possible, you're going to need to hit nearly every machine in the gym to target all of the muscles in your body. Exercise machines are designed to target specific muscles, and may not do much else for supporting and stabilizing muscles. Machines such as treadmills only work the lower body, while resistance machines isolate muscles and may cause you to over or under-train certain muscles. 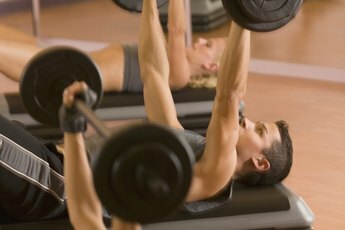 According to some studies, free weights recruit more muscles and train muscles more efficiently than exercise machines. 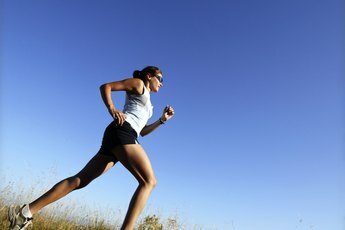 Aside from toning your muscles and trimming fat, one of the main goals of your exercise routine should be to improve overall strength, coordination and athletic ability. According to some experts, training with exercise machines does not train motor patterns properly. Only through body-weight and free weight training can you work the muscles involved in the exercise and teach your body to activate groups of muscles together to carry out activities more efficiently. Of course, a major consideration for any exercise routine should be the safety of the exercises. Working out on machines may seem easier than training with free weights, but they can actually be more dangerous. Machines are not configured to your exact body size and type, so you may be putting yourself through unnatural motions and extending yourself too far during various machine exercises, which can put pressure on your joints and spine. 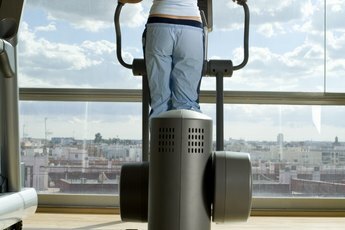 What Are the Dangers of Gym Equipment? Are Workout Machines Easy on Your Joints? Does Using the Incline on the Treadmill Damage the Knees? Can Running Have a Negative Impact on Bones?